But I did not dream about Adam. I dreamed about an orange man with a rocky hide. Then it dawned on me that the amazing artist Jack Kirby, who was Jewish and was responsible for the visual designs of The Fantastic Four, The X-Men and The Incredible Hulk (among many others) may have drawn on the folklore of the golem when he created The Thing. 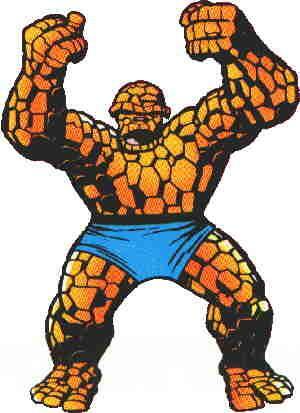 The Thing’s full name is Benjamin Jacob Grimm. This name certainly sounds Jewish to me, and although Ben’s religious identity as Jewish was not revealed for four decades of continuity, Stan Lee and Jack Kirby always imagined Ben as Jewish. The issue in which this is revealed is The Fantastic Four #56 (Volume 3). There is also a moment in the comic in which writer Karl Kesel has a Jewish character assume The Thing is a golem. There are other characters in comics that bring the golem archetype to mind. In Bill Willingham’s Elementals series, teenager Tommy Czuchra is killed in a landslide and comes back from the dead as Monolith, a super strong earth golem. Tommy is super smart, but introverted, a personality not well suited to his new powers. And since he was brought back at the age of fifteen and can never age, he becomes depressed (since he knows he can never be with Fathom who he is secretly in love with). He eventually leaves the Elementals team. 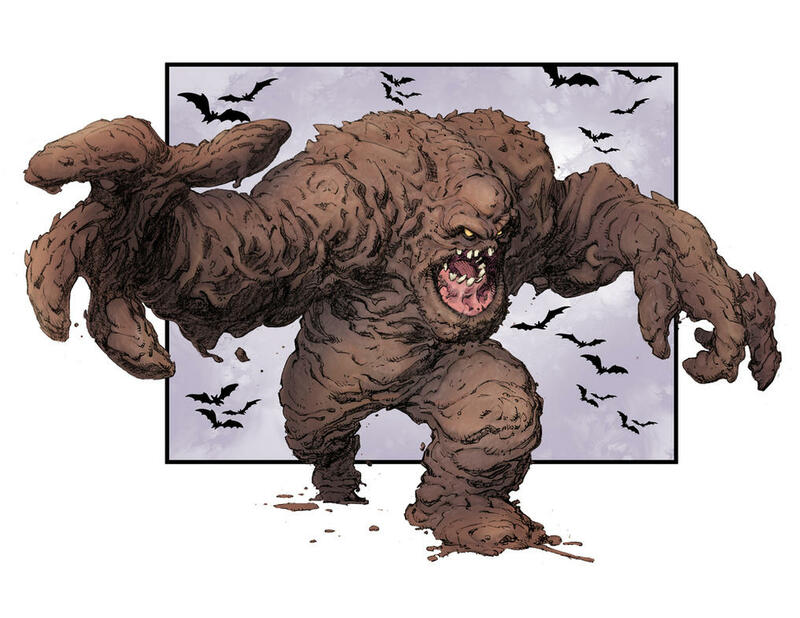 Another golem-type character that comes to mind is Brickhouse from Milestone Comics’ Blood Syndicate. Myra Santos was touching a brick wall when she was exposed to experimental tear gas and became super strong and invulnerable. A side effect of her powers is memory loss and epileptic seizures. Myra becomes less and less able to recall her life before her transformation. Many thanks to Jack Kirby for the amazing body of work he has left behind. I have enjoyed making these connections between Jewish folklore and super-hero comics.